The imageRUNNER C3100 is a networked digital imaging system that incorporates high-quality monochrome output performance with full color capabilities to complement the business needs of workgroups and departments. 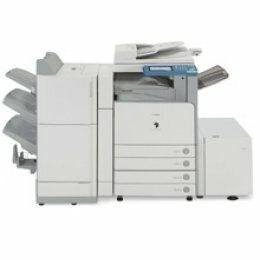 Built on Canon's Color imagePlatform architecture and boasting a rated engine speed of 31 pages-per-minute (black and white), and 7 pages-per-minute (color), the imageRUNNER C3100 is the ideal solution for businesses looking to increase efficiency and improve workflow. The imageRUNNER C3100 brings the power of digital imaging and communications technology to everyone in your office.